Your visit to this webpage will give you an opportunity to have the one and only solution for MAC Outlook to Entourage conversion, whose investment will turn into a fortunate decision for you as our software is projected to perform a foolproof, safe, risk–free, and result–oriented process. 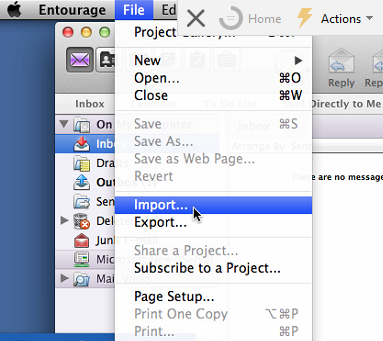 After exporting the .olm file from MAC outlook, to move that .olm into Entourage. You need to go with the MAC Outlook to Entourage Converter. And then install the tool Then, Click on Add File to add .olm file to transfer to Entourage. From File menu, Click on Import. 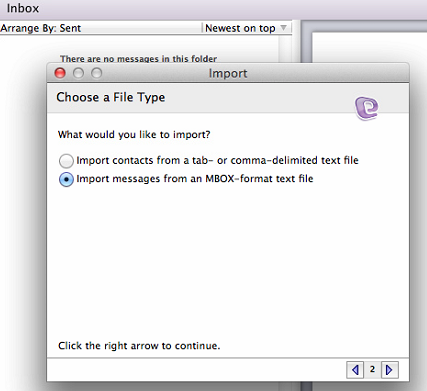 Check the radio button Import messages from an MBOX-format text file. After that,You need to select the .mbox file to be moved, Click on Import. Then, Hit the Finish button. 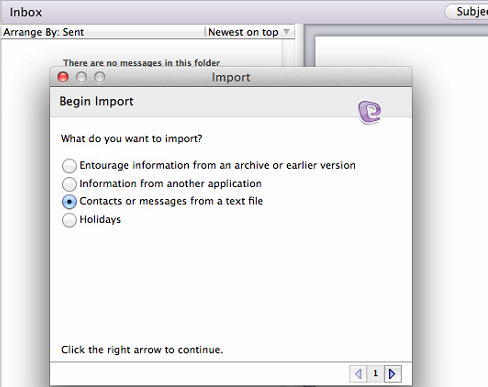 After that,You will be able to view the imported mailbox in the Entourage wizard. 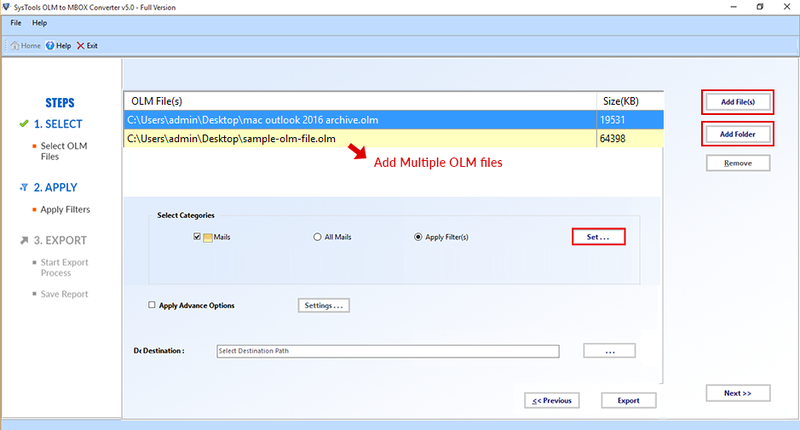 How many Olm files the tool can export ? The software converts multiple OLM files at a time. Is the software runnable on all MAC OS versions? No, You can only run the software on Windows OS. 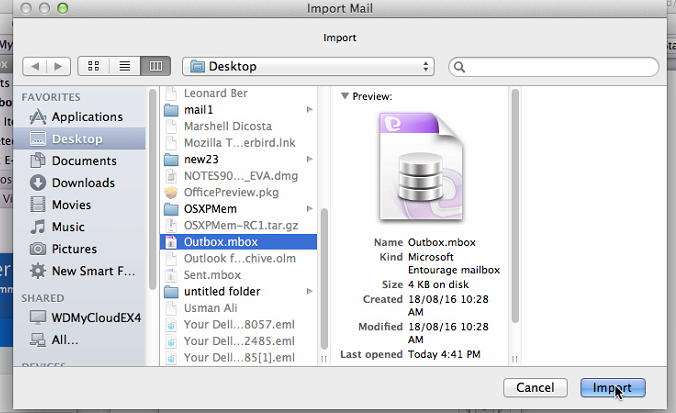 The easy User–Interface of this tool really helped me in performing a qualitative conversion of MAC Outlook file to Entourage. The tool retained actual attachments and properties like Subject, Body, Sender's information, Cc, Bcc, Day, Time, etc. of emails during conversion process. I got actual folder hierarchy of email database i.e. data of Inbox folder came in Inbox, Sent items folder came in Sent items, Outbox folder came in Outbox and so on.I tried the free trial version of this tool before purchasing it. 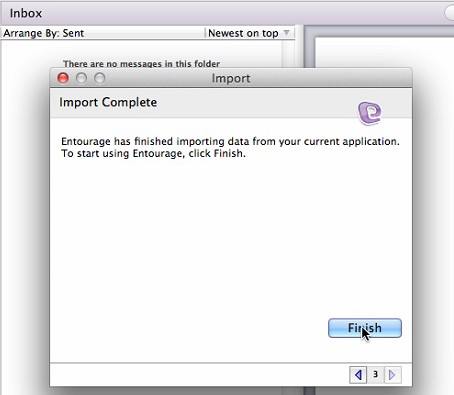 The free trial version allowed me to export 2016 Outlook to Entourage. Microsoft Entourage is a discontinued email client, developed by Microsoft. Entourage offers calendar, emails, address book, task list, notes list and project manager. Entourage was first released by Microsoft in 2000 as part of the Microsoft Office 2001 office suite.